Just days after White Coat Waste Project’s new exposé of USDA’s deadly taxpayer-funded kitten experiments, Congressman Mike Bishop (R-MI)–who was instrumental in breaking the investigation–has joined forces with House Agriculture Committee member Rep. Jimmy Panetta (D-CA) to introduce a bill to end this waste and abuse. 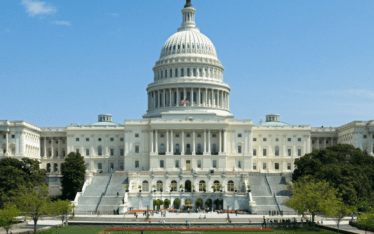 As first reported by CNN, the bipartisan pair introduced the Kittens in Traumatic Testing Ends Now (KITTEN) Act to permanently end all of USDA’s painful taxpayer-funded experiments on cats. 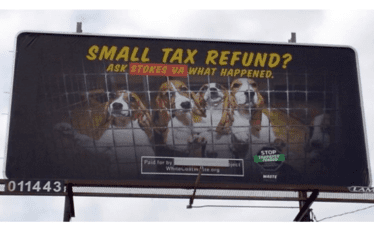 STOP using my Tax Money to KILL ALL the Animals in Lab Experiments. This is an insult to all the rescue groups. You are spending my money and I do not agree with this in any way shape or form. Stop waist full spending on abusive experiments on innocent kittens! 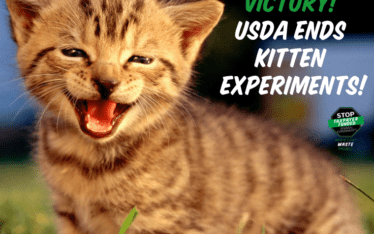 Stop using our money to kill innocent kittens in abusive, unethical, lab experiments! They don’t deserve it! Leave the kittens alone! Rehome them and never use them as a lab experiment again! You are so right! This is NOT the 50’s or 60’s, and these kinds of tests are not necessary with artificial intelligence use. They are just abuse and ill-spent taxpayer’s money. I work daily to save kittens and cats from the hands of cruel pet owners, the streets and kill shelters. I had NO idea this was STILL happening. I support this bill. STOP KILLING CATS AND KITTENS! Our tax money being used for animal abuse is inexcusable. The US governmental organizations should be preventing abusing and participating in it. I think this is outrageous and cruel. Stop killing innocent animals. There are plenty of scummy people in prison you can experiment on and save the tax payers money. No civil rights for prisoners until the innocent get their civil rights!! I don’t want my tax dollars paying for this travesty. We are supposed to be a civilized society, stop this!! Do not use live animals for experimenting! Toxoplasmosis is a very treatable disease. There is no need to kill the kittens that the USDA infects with this disease. And why is there a need for more research on the disease to begin with? The whole project give me shudders. The government and researchers want the money they can derive off of this horrible abuse. They don’t care about the torture, pain, abuse and death of the defenseless animals. GREED, pure and simple! Please stop the killing and experiments on kittens. IT’S 2018 THERE IS NO EXCUSE TO STILL BE USING ANIMALS IN TESTING!!! STOP STOP STOP!!!!!!!!! No more using of tax dollars to kill cats and kittens for ANYTHING!!!!!! Stop killing and torturing kittens and cats!! Stop killing cats. They feel everything. Including torture. Stop. Killing cats is wrong. They can feel pain. Please stop using tax payer dollars to do experiments on kittens. This is a cruel and torturous act to inflect not only on kittens but other innocent animals. Would this not be considered abuse and a crime. Thank u Mike Bishop and Jimmy Tanneta fir working to get this government atrocity stopped. Thank u Mike Bishop and Jimmy Tanneta for working to get this government atrocity stopped. kittens are future cats. They need to be protected not wasted. They are a natural resource. It needs to be recognized and promoted that cats and dogs have therapeutic value for humanity. We all can vouch for the need for alternative therapy these days. Still cruelty needs to stop immediately! These precious kittens should not be used for this! They are our pets, not some test subject! Animals have rights! Stop this abuse immediately!!!!! I definitely don’t want my taxes going on this act of cruelty!! Jenny Hupp, you are 100% correct! I agree with you whole-heartedly! RIGHT ON !! KILLING DEFENSELESS LITTLE KITTENS, CATS AND DOGS IS PURE ABUSE!!! THIS IS UNBELIEVABLE!!! THESE POOR LITTLE CREATURES ARE INNOCENT. THIS MONEY IS COMING OUT OF OUR POCKETS!! IT’S NOT HOW I WANT MY TAX DOLLARS TO BE SPENT! WHAT A HORRIBLY CRUEL ADMINISTRATION THIS IS!!!!! THEY SHOULD ALL BE ARRESTED FOR CRUELTY TO ANIMALS. THERE IS NOT NEED FOR WHAT THEY ARE DOING! I HOPE EVERYONE WILL SIGN THE PETITION AND DONATE IF YOU CAN. PLEASE!!! THIS HAS TO STOP!!! MAYBE THEY SHOULD BE EXPERIMENTING ON EACH OTHER!!! This is abuse to animals and ill-spent taxpayer’s money. Artificial intelligence will give better results without making defenseless animals suffer!!! In silico (software) & in vitro (cell & tissue sample) models are available which are faster, cheaper & more accurate. Animal models are archaic & low quality data. European law for animal experiments must follow the 3 R’s: replace animal models, reduce # test subjects & refine the experiment/justification. This is despicable and this is not an acceptable use of our tax money. Stop it now!!!!! Stop using these innocent animal for experiments. Please stop allowing mean people to stop inflecting pain and cruelty on some of the most innocent animals on our earth. If you are one of those in the USDA who do this, if you have any compassion refuse to continue torturing animals. Cruelty needs to stop immediately. This is evil. digusted…and find this killing of kittens beyond unethical when we work so hard to save lives…..
And we do elect officials….so please be one of the decent people and help us save their lives…. Stop doing this cruel monstrous thing to innocent animals!